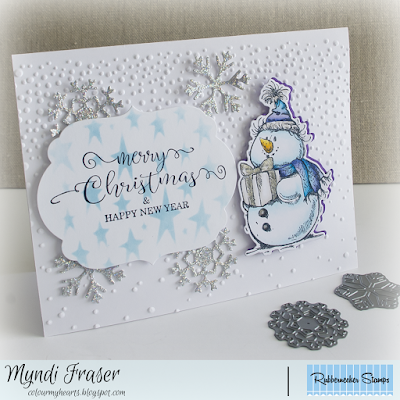 Monday is here again, and so am I with a Christmas card for Rubbernecker Stamps. I used SIX different stamps and dies on my card. I will list them all separately at the end of my post so they are easy to find. 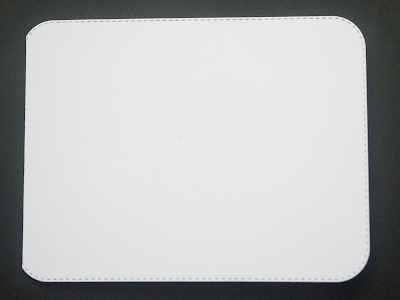 I started with a snowfall embossing folder to set my background. I knew I wanted to keep it white, so I didn't add a mat to this. It has been snowing where I live since September 12, and it is snowing right now while I type this, so white is my world right now! It really is horrible having snow in September; it's too early!! I used the Snowman with a Present stamp AND die. I created a shadow for my snowman by cutting out another snowman in purple and slightly offsetting it. I used the Marquee nested die set for my sentiment, Merry Christmas with Swirls. I cut out some snowflakes with the two new small snowflake dies. I used a star stencil (not from Rubbernecker) to decorate the white paper for my sentiment so it would pop out a little bit on all that white. Make sure you pop over the Rubbernecker Fans Facebook Page to join in on a monthly challenge going on in the group. 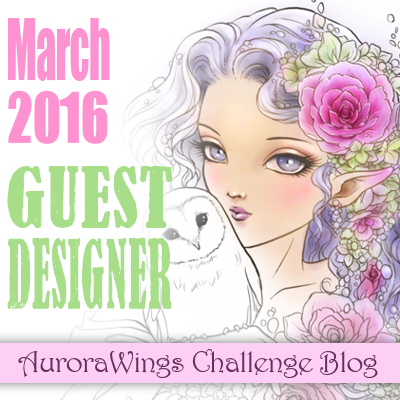 It is time for a new challenge at Aurora Wings, and our theme is "Inspired by Music". Your creation can have lyrics or not, and your music can be from anywhere: TV show, movie, classical, rock, you name it. As long as we can see the song's inspiration in your piece, it's good! The sentiment is not a lyric from my song, but I think it is in the spirit of the song. Can you guess what my inspirational song is? My song inspiration was "Fly Like an Eagle" by Steve Miller Band. Maybe it's my odd sense of humour, but I thought this was funny. A kitten that would want to fly like an eagle, and he looks like he's enjoying himself while he's at it. It still makes me laugh. I was going through my AW images that I already had printed out ready to colour, and when I saw it the lyrics popped right into my head. So I just ran with it. 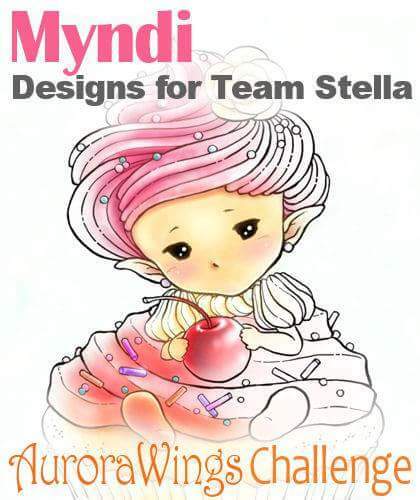 You can find the image at the Aurora Wings store HERE. I loaded up my Animals Colouring Class from Kit and Clowder for this because I really don't colour too many animals, and when I do, I don't do the detail fur and flicking I've done here. I pulled up the cat class and gave it a whirl, and I think it came out pretty good. I'll give myself a pat on the back for my first try. 😉 I used paper and sparklies from Kaisercraft, and a mix of jute ribbon, cheesecloth, and lace to layer under my image. 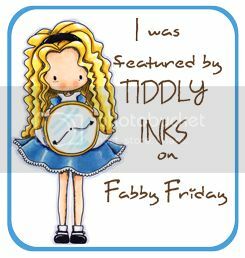 The small cloud stitch die is from Rubbernecker Stamps. The tag is punch out from Stampin' Up. I inked up the edge of my tag and the image with some Tim Holtz Distressed Ink in Tea Dye. 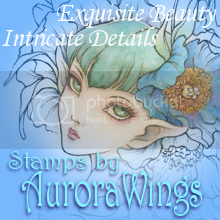 The sentiment stamp is from Finnabair's "Don't Forget to Fly" stamp collection. School is back in session, and I'm back to crafting! Yay! It was a crazy busy summer, with being at the lake, going on vacation with my family, and just chasing after four kids for two months, and I'm hoping things will slow down a bit, but really... hockey, ringette, soccer, and football are all going on or getting ready to start so I don't know who I'm kidding! I've made a card with Rubbernecker Stamps and some dies today. I've got a long list of products that I used from them so I will list them all at the bottom of my post so it's easy for you to find them! I made the card base by letting one edge of the die overlap the fold. 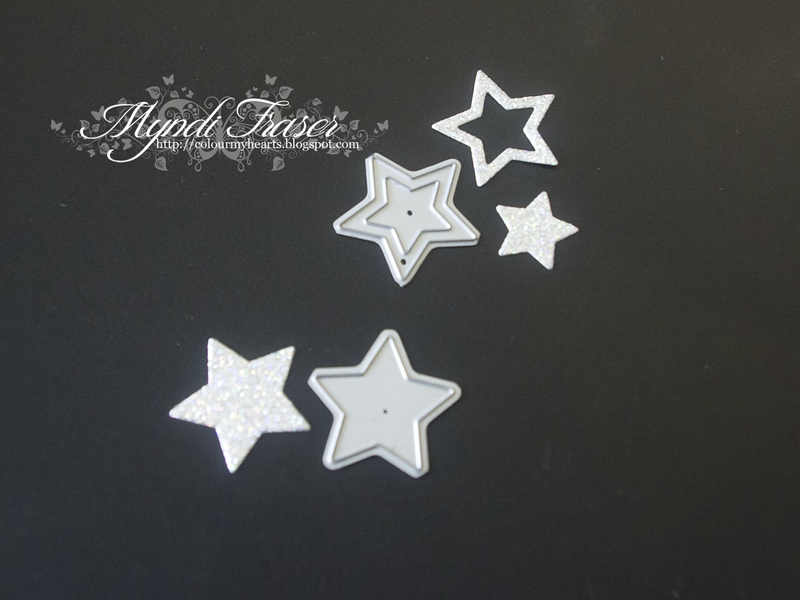 I punched out the mats that I layered over the base, cutting out a couple stars with the new mini star dies (below). The Small Star outline dies give you two stars to work with.